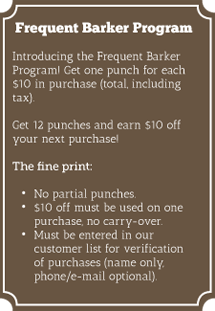 You may take your payment in cash or as a store gift card! This month of Thanksgiving we are grateful for our wonderful customers (well, we’re grateful every month, but this month especially)!You can include your dog in your Thanksgiving festivities. 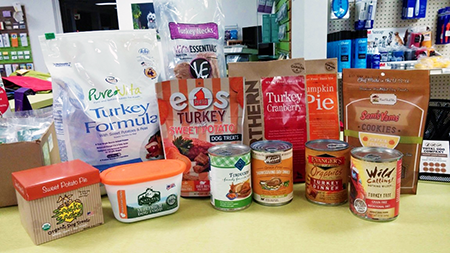 We carry all kinds of traditional Thanksgiving fare for dogs: turkey, pumpkin, sweet potatoes, etc. 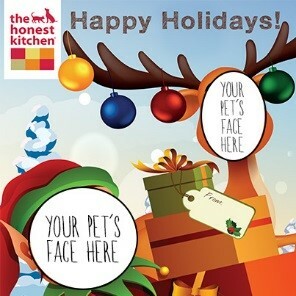 Thanks to Honest Kitchen we’ll have a fun Holiday Photo Board set up in the store! Post the photo with the hashtag #thkholiday on Twitter, Facebook, or Instagram while you’re at the store and you’ll get some Honest Kitchen goodies (while supply lasts). PLUS you’ll be entered in a random drawing for food or treats from Honest Kitchen. 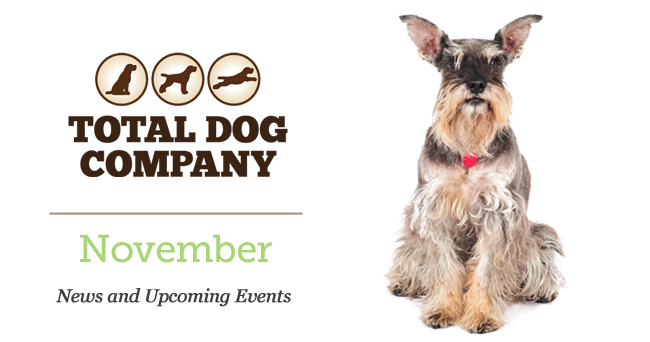 We should have everything set up by November 16, so be sure to stop by! 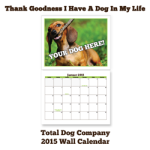 The First Annual Total Dog Company Wall Calendar is at the printer! We received lots of photo/story submissions. A neutral party selected the dogs for each month-plus one for the cover. Each of those 13 families will receive on free copy of the calendar! Even if your dog is not on a monthly page, all submissions were included in a collage at the back of the calendar – everybody is a star! The printed calendars are due in the store around Thanksgiving and make a great holiday gift!